The very next morning, he emerges from his slumber, dreamed examples of democratic efficiency ebbing slowly from his mind. Upon Frank's return to the front, however, he discovers that the sniper rifle he'd been using the night before isn't quite the same. It seems...less powerful somehow. Plus, he can't seem to remember how to call down that sweet APC to carry around his buddies, even though he'd done so mere hours ago. This terrifying, amnesiatic moment is likely due to a glitch involving the death of Frank's controller during a Helldivers session, and IT COULD HAPPEN TO YOU. We found an issue related to the controller dropping its connection to the game and then when you reconnect, the game spawns your avatar before it manages to load your old save. This results in what looks like lost progress, and often results in progress being lost if you let the game finish its save. "What we are doing about it: We have fixed this specific occurrence and are investigating other ways that save data might get reset as we are seeing reports of unrelated save reset issues. The fix for this specific issue will be in patch 1.03. "What you can do about it: Make sure your controller has a full charge when you start playing. Don't switch controllers if you battery is running low, just connect it to a cable, and wait until you are on the bridge and done with saving before switching to another controller. "If this issue should occur, restarting the game without saving will cause it to try and download the cloud save next time you start it up. This may solve the issue, but will not work if you have managed to save since you got reset. 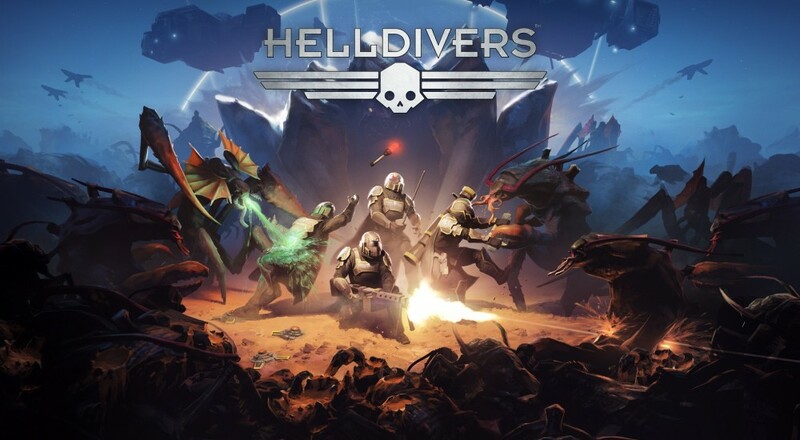 Helldivers is a co-op top down shooter for up to four players, and is currently available for fans of Managed Democracy on PS4, PS3, and PS Vita.